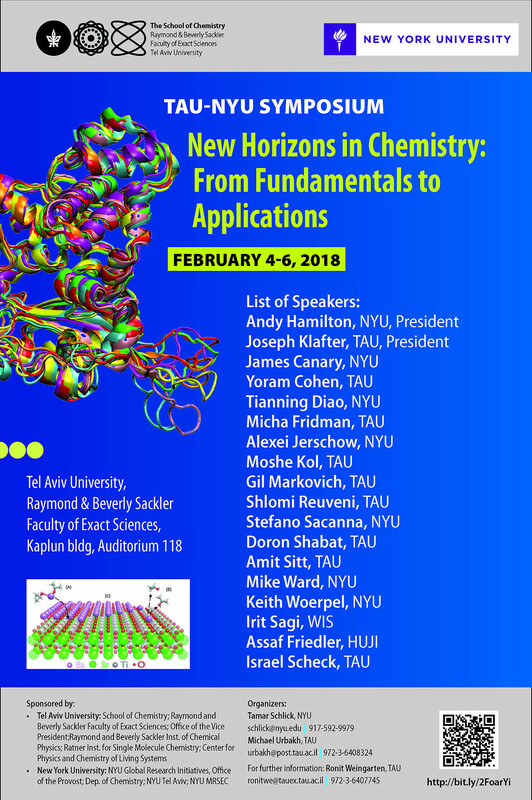 On February 4 -6, 2017, Tel Aviv will be buzzing with energy as an accomplished collection of scholars will explore new horizons in chemistry. This symposium is jointly convened by NYU and Tel Aviv University and speakers will include professors from NYU, Tel Aviv University, NYU Tel Aviv, and other institutions. NYU President Andy Hamilton will also speak. It promises to be an exciting program. 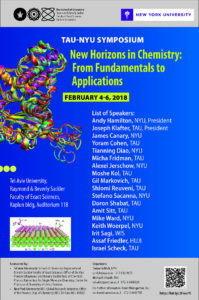 The symposium is also sponsored by NYU Global Research Initiatives, the Office of the Provost, the Department of Chemistry, NYU Tel Aviv, and NYU MRSEC. This entry was posted in Tel Aviv. Bookmark the permalink.